Since the baby arrived our eating out has been limited. 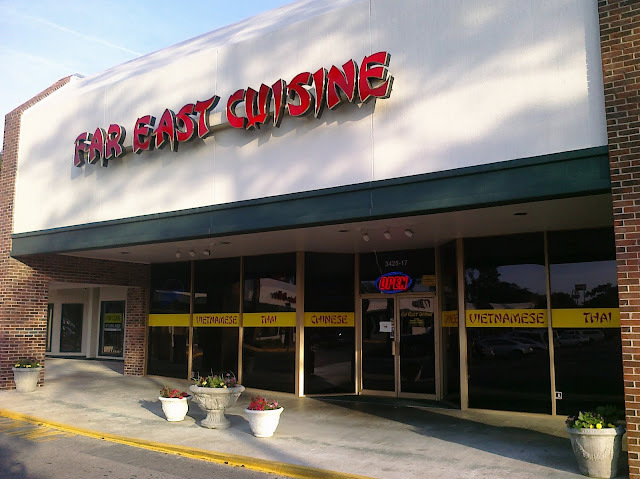 Last week we got takeout from Far East for the second time and It did not disappoint. The outside does not do justice to the quality of the food they serve… Nore does the dining room. 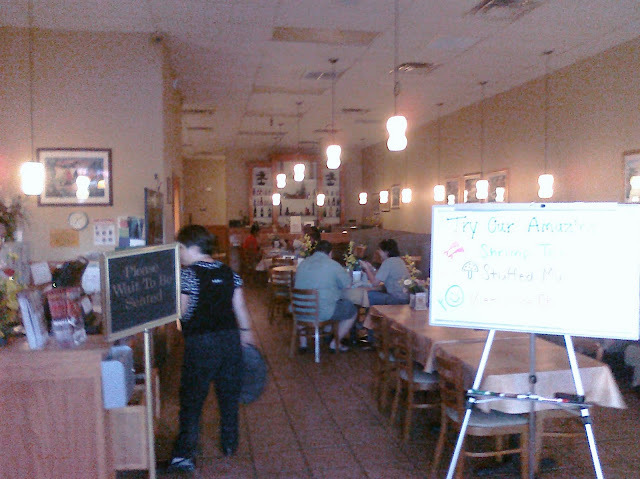 Its nice enough and clean but not a place you we would get excited about eating. The food really makes up for the lack of ambiance. Their menu has many classic Vietnamese dishes- the PHỞ noodles bowls are both excellent. 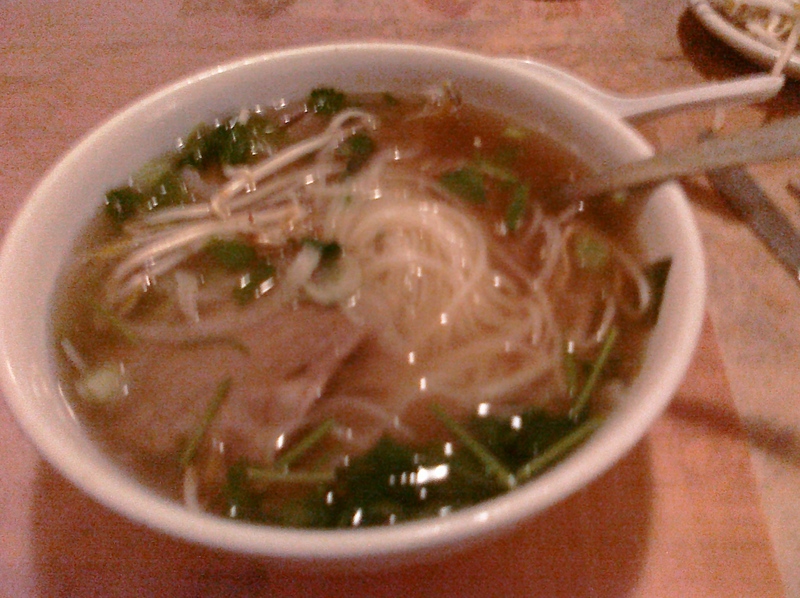 It’s comes in a soup bowl with rice noodles, topped with chopped scallion cilantro. 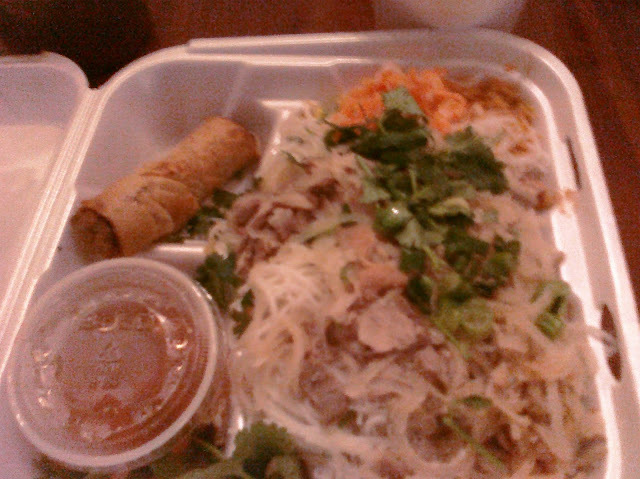 We liked the PHỞ CHÍN – brisket. The BÚN TÔM THỊT NƯỚNG- Rice Vermicelli with Charbroiled Shrimp and BBQ Pork salad bowl is good if you are not interested in the broth that comes with the noodle bowl. BÒ KH is a Vietnamese style beef stew with chunks of marinated beef with lemongrass, star anise and cinnamon served with cuts of lime, mint leaves and crispy bean sprouts is also a great choice. They also prepare an excellent curry with lots of lemon grass, anise and cinnamon flavors. The carrot chunks may look big but they are delicious! 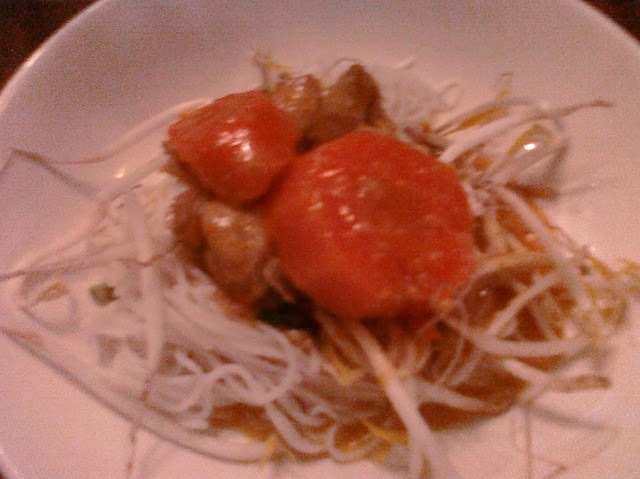 One other surprise was the BÒ VIÊN or beef meatballs in soup. The Broth is the star with a flavor that makes up for the odd texture of the meatball- which I’m sure is authentic. Just a little hotdog like for my taste.